Finally, the first half whistle has blown already. Many factories is shuting down for annual maintenance from now until next September. As a result, price will be gradually higher week by week and will peak during next 2 months. Thus this month or maybe this week is the last chance get a good price before next winter crop. Some popular product maybe finished in next 1-2 weeks because of the smart buyer who has a good experience and vision will take a stock before the price will going to extreme level. For the next crop, I hope it will be start earlier than last year (Mid-Octorber). I try to collect any information from many farm and found that the next crop will start around Mid-September. However, it is depend on many factors that we can't predict accurately. FYI.... from my experience, price will be better again in next summer (March-June 2012). Lychee - This is also last time to buy this item. Crop will finish at the end of this month (normally it should finish since June but this year crop is delay for one month). As my previous update, this year a crop of Lychee is really bad. Price is increasing a lot from last year. Thus if you still keep waiting and finding for a good price, please beware to miss a last chance to buy it in this year. Longan - This year crop has started already and will be peak on August. However, if you have any demand for this item, please kindly contact our sale representative immediately because this is not a good year for agriculture product. You may miss a chance to buy because of a popular reason of seasonal fruit, FULL BOOKING!!! Mango - Finally a crop has finished already. Therefore, if you have any demand for its, please ask our sale representative. We still have enough stock to supply you with seasonal price. Rambutan- I can't say anything too much about this because of uncertainly output of raw material. In each area has produced different way. Once some area has a good output, they still face another problem that is a labour unit. Many packers have not enough labour to produce (peel) a rambutan. That's a little point but affect a quantity of supply very much. For a rambutan with pineapple stuff, please forget it for this year because of above reason and also pineapple crop has finished already. Fluctuation of catching in Western Pacific is obviously seen. It was 12 MT a week before, while recent figure shows 34 MT per day per boat. For US, Taiwanese and Korean fleets is improving as well from 10-20 MT per day per boat. The percentage of Yellowfin mixed in Western Pacific is maintaining at the rate of 11-12% after it went to 4% last two weeks. The Indian Ocean is maintaining at 15%. USD 3200++ is the offer price at the moment which does not guarantee the quantity. Supply of Albacore may have a chance to see an improvement in July. For the price, It is soften down a little bid to USD 3,400/ MT. Summer Albacore is a hope for a lower price but we have to wait and see the supply again. Tongol is now on off-season mode while the demand is still high. Price is a little bit up toTHB 58/ KG. This is because it substitutes to yellowfin at the moment. FYI... The price of the tin will increase again after August (but some tuna tin supplier will increase next month). Therefore, if you have any demand during this time, I think I can offer you lower than other giant company because we still have enough of fish. Just let our sale representative know. From last week (04/07/2011), the price of Thai White Rice 5% broken was around THB 14,000-14,300/ mt but today (14/07/2011) is around THB 14,500-14,800/ mt that mean it has increased around THB 500-800/ mt from last week. Same as the price of Thai Parboiled Rice 100%, from last week was around THB 14,500-14,700/ mt but today price is around THB 15,200-15,500/ mt. As a price's trend, you can see that it seem keep increasing. The ceritfied paddy price policy from new government, THB 15,000/ mt for Thai White Rice and THB 20,000/ mt for Thai Hom Mali, is a main cause for this matter. If you compare with present price, you can understand that why everyone try to keep a stock in this time and waiting for this policy activate. That is the reason that why Thai rice price is increasing even this policy has not applied yet. Now everyone is waiting and seeing for the conclusion from new government. In my opinion, I think the price will increases a lot for sure but how much and when ???.... Thus if you realize to this news, I think this is the best time to buy Thai Rice because we will never know what is going on in this Thai government era. Sorry, for this week we stop to offer any rice prices from Thailand due to the political uncertainty. Thai Rice market is now "frozen", caused by the possibility a new Thai government based on the Pheu Thai party might revive the rice mortgage policy as promised in their election program. This could jack up prices too high for the present market prices. Now exporters have stopped taking order from International buyers as they are afraid of losing a lot of money. All waiting to see the details of implementation guideline of the rice mortgage policy under the new government, so Thai rice exports certainly be reduced over the next 2-3 months. Export price will probably rise 10% in a month when the price-pledging scheme is implemented, it might lift the price further till a rally 56% by year-end. The rice market is frozen as traders worry that the revival of the rice mortgage policy by the new Pheu Thai-led government could jack up prices of white rice in the global market to as much as US$850 a tonne. Chookiat Ophaswongse, honorary president of the Thai Rice Exporters Association, said millers had stopped buying paddy and were adopting a "wait and see" stance as they monitor price trends. At the same time, exporters have stopped taking orders from international buyers, especially for shipments to be delivered in August and September, as they are afraid of losing money. "All parties are waiting to see the details of implementation guideline of the rice mortgage policy under the new government. So Thai rice exports will certainly be reduced over the next two to three months," he said. The Pheu Thai policy to reinstate mortgaging by purchasing paddy into government stocks at 15,000 baht a tonne ($488) would increase the FOB price of white rice by $330 a tonne. "The current price of 5% white rice is $520 a tonne so the new price will be $850 immediately. This jump in price, instead of a gradual rise, would be difficult for buyers to accept," said Mr Chookiat. A survey by Bloomberg News indicated that rice prices in Thailand may rally 56% by year-end to $810 a tonne. "It isn't only Thai prices that will go up, the rest of the world will have to follow," the agency quoted Mamadou Ciss, CEO of Geneva-based Hermes Investments Pte, as saying. "The price may jump $100 a tonne within two months and peak at $700," said Mr Ciss, who correctly predicted in 2006 that prices would double. Export prices will probably rise 10% in a month, said Wichai Srinawakul, vice-president of the Thai Rice Mills Association. When the price-pledging scheme is implemented, it will lift the price further, probably to $830 per tonne by the end of this year. With higher rice prices foreseen, Mr Chookiat is concerned that buyers might turn to other countries, especially arch-rival Vietnam, or they might be more self-sufficient countries. He urged the new government to make sure it does not repeat the mistakes made under earlier rice mortgage programmes, which were widely criticised as corrupt. For example, farmers had to pay certain sums to participate in the scheme while politicians sought benefits from rice millers and exporters. As well, governments ran up large losses for storing rice for months or even years in the hope that export prices would rise. In the end, most of the rice was sold for less than the government had paid originally. Mr Chookiat also said the government needed to ensure that cheaper paddy from neighbouring countries is not smuggled into Thailand to take advantage of high pledging prices. "The private sector still sees no solutions to the problems because these are endless issues," he noted. Thailand exports approximately one million tonnes of rice a month. But the projection for July is 700,000 to 800,000 tonnes as exporters still have orders in hand. The projection has been reduced to 500,000 tonnes in the next two months. Overall exports for this year may be around 10 million tonnes, instead of 11 million. The Democrat-led government replaced the mortgage scheme with an insurance programme under which farmers were compensated directly if their selling prices were below agreed benchmarks set every two weeks. The most recent benchmark price for 5% white rice was about 11,000 baht a tonne. As a quick response to the Pheu Thai Party's promise to restore the ri ce-price pledging scheme, domestiv rice trading has ground to a halt, as millers are keeping their supplier off the market on speculation that prices will shoot up. Chookiat Ophaswongse, honourable president of the Thai Rice Exporters Association, said the suspension of sales by rice millers had also created problems for exporters, which cannot quote prices and must also stop selling rice. "If the pledging scheme is resumed, it will mark up export prices of white rice from the present US$550 to more than $850 a tonne. Exporters can't calculate the real cost of rice, as they don't know when it will be restarted," he said. If the pledging scheme starts soon, millers will not sell rice to exporters because they can get a higher return from the higher pledged price by selling directly to the government under the programme. Paddy white rice is currently quoted at Bt9,000-Bt9,500 a tonne, but under the pledging scheme, the pledged price would be Bt15,000 per tonne. This means the export price of this type of rice would soar to $850 (about Bt26,000) a tonne, compared with Vietnamese rice at $450-$500. If Thai rice prices are too high, it will also create difficulty for Thai rice exports. The new government should delay the pledging scheme to let the market adjust, Chookiat said. Foreign buyers could panic at the skyrocketing price of Thai rice and shift to ordering from Vietnam and other countries. After Thailand exported large volumes of rice during the first half of this year, shipments could drop from an average of 1 million tonnes a month to 200,000-300,000 a month, he added. Charnchai Ratthananon, president of the Thai Rice Mills Association, said the rice price would be on the rise now that the market acknowledges that Pheu Thai has won the election. "Foreign traders will rush to stock up on rice, as the pledging scheme will push prices up. "Rice traders will have no urgent reason to release rice stocks, as rice prices will gradually rise," he said. The new government will likely reinstate the pledging scheme this November for the main crop, Charnchai said. Prasith Boonchuey, president of the Thai Rice Farmers Association, does not believe the scheme will cover every farmer. The new government cannot purchase every rice grain from farmers for warehousing. The pledging benefit will fall to a small group of farmers. The pledging policy will not create any sustainable benefit for Thai farmers, while the credit cards promised for farmers will spoil them into overspending, he said. The new government should find a new, sustainable policy to help farmers in the long run, Prasith said. The summer crop come through the end of season period already. Everyone expect the price should be drop at this time including myself. Unlucky, it is not the truth, even though the cost of fruit raw material drop to THB5.50-5.70/kg or about 18-20%, if compare last 2-3months it was about THB6.00 up to nearly THB7.00/kg. The major reason of price remain the same level, it is may cause of all cannery in <?xml:namespace prefix = st1 ns = "urn:schemas-microsoft-com:office:smarttags" />Thailand get tightness order on hand. Currently the pineapple fruit from south and east part of Thailand begin less 30-40% if compare last 2weeks ago. Regularly the working time is 8hours and additional overtime 3hours in some days. Some week the cannery continue working time on Sunday too because of the excess of fruit input, but nowadays the production plant are running only half day. After survey the field and discussed with the farmer , this summer crop going be finished by the end of June or have some chance delay to the 2nd week of July. After that all cannery will shut down for one - one and half month. However, the god seem give us some luck because the new winter crop will be able to harvest faster than every year, we predict that it will come by end of Aug. "Hopefully we get plenty of pineapple fruit in winter crop this year and price is competitive as well"
France + Hungary : It is seriously short supply of corn since beg of this year 2011 until now. Hopeless to expect sweet corn form them. They are now buying from Thailand. 1.) The government revoke the tax refund to exporter. 2.) All exporter have to pay export tax of 3-15% , the tax depends on the catagory of products. 3.) As you know China is huge country, now the production is not enough for domestic consumption . So, thjis has a direct effect on export. 4.) The labour cost in China is not cheap anymore as in the past. Thai Supply : At the moment ,It is summer crop (peak season), it is the best time to buy sweet corn from Thailand . Nowadays the cost of sweet corn raw material is averageTHB4.80-5.00/kg. We forecast that we will have the plenty of corn supply from now on until September and the supply will drop during Q4/2011 until beg of next year 2012, the cost of corn raw material forecast about THB5.20-5.50/kgs at that time , therefore we do highly recommend all buyer start to purchase sweet corn before the shortage period in Q4 as every being , if you can recognize. US, Taiwanese and Korean as well as US boat has been staying at 20 MT per day per boat for past 4 weeks. It is hard to forecast the supply at the moment. A steady declining of Indian Ocean's catching is still on. 5 MT falling from a week before last week makes last week catching rate touch the level of 10 MT per day per boat (from 20 to 25 and now 10 MT). This is Poor catching. Skipjack price in Thailand is now touching the level of USD 1900 up. The trend is still upward trend as demand is still high while the supply from fish broker is unpredictable. USD 2000 per MT is what the market speaking but there no one can confirm if it will come or when it will come. By the tendency, it is possible to see it during FAD ban. The yellowfin mixed in Western Pacific does not show any good sign. There is unchanged. 5% is in Western Pacific while Indian Pacific is still at 25% (but overall catching is Poor). All in all, there is no good sign for yellowfin supply. USD 2900 is the minimum as a market price at the moment with small quantity supplied (i.e. 30 to 60 MT). Supply of Albacore is still dim. USD 3550 is in the market but without quantity guarantee. This is same situation as yellowfin. It seem Tongol is the only tuna which price is quite stable above THB 54 per kg. From the severe situation of skipjack yellowfin and albacore, it leads packers to fight more to get tongol in their production. Thus, we cannot be rest on tongol price and supply during its season is becoming off. The reason why the price is quite high because by now it �s lack of raw material in market, all thai rice exporters are waiting for new harvest around August. So, this is one of factors that make the price is quite high but not only raw material price is high but the freight rate is higher than last time too. As you know, Thailand will have new political election next month that mean we have to wait and see which party can be government and what they want to help farmer to guarantee the rice price for them. So, I trust that the price is going up �MAYBE!!! It seem the crop situation is getting better in this time. The price of raw material is going down and today we can find the price around THB 5.60 - THB 5.80/ kg with 9000mt for the whole country. That's really good news for both buyer and seller. Our expectation, the crop should be remain the same until at the end of June 2011 and then the supply will slow down. As a result, you can find the good price of pineapple pieces in this time because many packer have many stock for supply. However, for the slices one, the price still remain the same because of many pending order still need to full fill from lately poor crop situation. Not much different from last month. we still have a raw material in the northern part of Thailand but not a lot because of rainning. The quantity and price of raw material in this area is around 150-200mt per day with price THB 4.50/ kg but next month we expect to get around 400mt per day. On the other hand, raw material in the central part area has finished since last 2 months. A new crop in this area will be around early June. The present situation of raw material and price for this area is less than 50mt per day at THB 5.00/ kg. Lastly, sweet corn crop in northeast of Thailand is also start from next month as well. Lychee - Once again for this year that the crop of Lychee is really not good. A raw material is not much as we expected before. Many packers in Thailand still keep quiet and not willing to quote the price in this time because the raw material remain unstable. For the customer who are looking for a broken lychee, I can guarantee that you will face a big problem to find because this year the output is very few thus all farmers will wait to get a big size of fruit in order to get a better price. Longan - Normally a new crop should start from early July and we forecast that the crop may not good as same as Lychee. And also many packer anticipate that the crop may delay till at the end of July or early August. Therefore, for customer who are looking for this, please kindly look after the situation carefully because a period of crop and quantity may considered as main threat. Mango - In term of quantity, this year we have a very good crop of mango. We can get more quantity than previous year because of good weather. However, even the crop is get better than last year but price of raw material is more expensive than the past. Last year, the price of raw material was around THB 3.00-5.00/ kg. but this year is around THB 10.00/ kg. Surely the question is why? the answer is an extreamly high demand in fresh market (normally a farmer prefer to sell in this market because they will get a good price and profit). As a result, the factory should pay more to get a raw material that is a reason of price. Rambutan- Still doubtful for this item but the situation is really unstable. Many packer can't get a raw material for produce because of many factors such as weather. Anyway I still have very less information about this regrads thus I will update to you about this once again. Just only one month left before FAD (Fish Aggregating Devices) ban period. This year the period of it will more than previous year around one month that mean 4 months (1st July - 31st Oct) will be banned for FAD. As a result, the price will increase from now (USD 1,830/ mt for Skipjack) to be USD 2,000/mt is not impossible even today we can catching around 37mt per day per boat in Indian ocean and 20mt per day per boat from Taiwanese and Korean boat. Please do not ignore this important point. For Yellow fin, the price surely above USD 2,700/ mt in this time and also for Albacore is around USD 3,500/ mt. In addition, the increasing for vegetabel oil, tinplate, and also demand of canned tuna from Japan after Tsunami and after shock can be considered as main factors which affect to market price as well. Therefore the possibility to see the increasing of market price is not too far in next coming June. It's quite difficult to predict sharply because there are many factors concerning on its level. Only the short term trend would be speculated depend on each particular kind of rice. The prediction on price going down this week as you heard may be only some kind of rice such as "Thai Hom Mali Rice 100% with a little bit decrease but also speculated to rebound in soon. In case of broken rice, the price is in upward trend because of the shortage of raw material in the market. In addition, the glutinous rice also is increasing trend on price. Price trend in short term, within a week, is likely to maintain on this level but the only factor which is being watched carefully concern on currency value movement. The exchange rate will also affect on export price because it has been moving on strengthening trend. Please be ensured that our price always reflected on market situation but you can trust on our quality and reliability. A tropical storm slammed into the northeast mountain region on the Philippines' main island on Monday, killing at least 10 people and plunging some areas into darkness, disaster officials said. Storm Aere, the country's second tropical storm this year but the first to cause death and damage, wdumped rain in the coconut-producing central Bicol region, weakened after making landfall, packing centre winds of 75 kph (46 mph) and gustiness of up to 90 kph. Two people were missing. About 110,000 people in the coconut-producing Bicol and southern Tagalog regions had been affected as winds uprooted trees and toppled power lines, cutting electricity and phone services in wide areas. Exports to Sri Lanka, which were in vogue couple of months ago, have ceased, but it would seem that a fresh round of exports have commenced to countries like Bangladesh, Pakistan and the UAE, Mr Prakash B. Rao, Member of the Cochin Oil Merchants Association, said. These were countries which used to traditionally source their coconut requirements from Sri Lanka, but the crop failure in that country has forced them to look elsewhere. As the price of coconut and coconut oil has not been arrested despite the onset of the peak production season in Tamil Nadu, some traders expressed apprehension whether the crop was as good as it was expected to be. Others pointed to poorer crops reported by some of the major producing countries like the Philippines, Indonesia, Thailand and Malaysia as the prime reason for the current price spiral. As Sri Lanka has banned exports, the Coconut Development Board sources expected coconut exports from the country to increase by 30 per cent in 2011-12 over last year. Chairman of the association Truong Thanh Phong said that despite the good start to the year, exporters should continue to proactively look for new customers in preparation for the third quarter and the summer-autumn crop. "If demand is low in the third quarter, the VFA will buy 1 million tonnes of rice to stockpile during that period, in order to steady the price and support farmers," Phong said, adding that the Government had also instructed the association to stockpile 1 million tonnes to coincide with the winter-spring crop in the first quarter. According to the VFA, the Philippines, Viet Nam's largest rice importer, would reduce the amount of rice it imports from Viet Nam by around 200,000 tonnes this year. The country usually imports roughly 1.5-1.8 million tonnes of Vietnamese rice. The association was also concerned that exports to the Middle East, Africa and the United Arab Emirates, that account for more than 30 per cent of total exports, would suffer due to political uncertainty in the region. However, the association expected demand from other markets including Indonesia and Bangladesh would offset those losses. In the first quarter alone, the country signed export contracts worth a total of more than 1 million tonnes with Indonesia, the Philippines, Bangladesh and Cuba. Phong said that thanks to rising demand, the rice price in the domestic market was currently high at VND7,600-7,800 per kilo, up VND500-600 over last week, though the country was in the harvesting season. Coco<?xml:namespace prefix = v ns = "urn:schemas-microsoft-com:vml" />nut production in Sri Lanka has fallen 42% yoy to 239 million nuts during Jan-Feb 2011. PINEAPPLE : Regarding the pineapple situation, pls see the association's formal letter. One more information which we would like to let you be aware is that even with some rain coming, the fruits price seemed to remain high. We believed that this may caused by the uneven supply demand of the packers, which probably derived from the world over demand. Other information which we would like to add is that the tinplate price would increase approx $250-$300/MT on the 1st of July, and this would be certain due to Japan had already increased their Tinplate since March. Japan would also need their steel manufacturer to focus on their construction recovery so there is also the possibility of more demand and less supply. We would need to watch closely for the shortage of Tinplate in Thailand too. SWEET CORN : Regarding for sweet corn news, seem demand very huge because of EU, CANADA, and US supply reduce 20-30% from total, then all demand move to South East Asia, especially come to Thailand but unfortunately we also produce lower than expectation because of weather problems, and will facing same problem of increasing price same as pineapple by July 2011 therefore shortage of tinplate. TUNA : Regarding Tuna fish, We recommend don't buy now until situation clear again, because after raw materail step back USD50.00/MT in early of April, but now keep increasing USD100/MT in every week, and moment price about USD1700.00-1750.00/MT, even such this price the supply still very low, expect to hit almost USD2000.00/Mt by early of August, then for point of view we recommend all buyer stop buying in huge volume and let's see how it improve in next few months. RICE : Regarding for Thai Rice, now the season of harvest and price keep stable and crop will end ny end of May 2011, after that price will keep increasing for sure, therefore this year we can plantation 2 times only (from 3 times) because of not enough of water supply during summer season. Yellowfin mixed in both Western Pacific and Indian Ocean are still at the low level of 5% and 10%, respectively. Supply of yellowfin is still short and getting worse. USD 2500++ is the possible price level but not quarantee on the quantity supply. Albacore price is climbing up the ladder. We said USD 2850++last week. Now, the price level is above USD 2900 per MT. Sad news for Tongol, there is not much improvement at all on the supply. Thai catching is a little bit improved but considered as "Poor" while it should be the season for Tongol now. Price is still firmed at USD1800-USD1850/MT up but no quantity. If any news update will keep sending update. Now the season of harvest starting with high price of raw materail at THB7.50-THB7.60/KG, and this summer crop will continue production until mid of May 2011 and after that crop will stolw down and finally end by mid of June 2011. And expect price of raw materaill will not see lower than THB7.00/KG because we have only short time of production for this summer crop. And will not hard to see price about THB8.00/KG when crop slow down. Expectation for next winter crop stating by early of September 2011, that's mean we will lost time of production about 2 and half months during shut down, mean the price of finished product will keep going up dueing June - August 2011, We are high recommend to all buyer make decision to keep purchase the quantity not over by end of April 2011, If any news update will keep sending update. Together with right now have a huge demand for package food from Japan market then have an effective a lot with the raw materail, price keep stable about THB5.10-THB5.30/KG or even higher, therefore the production plat in Japan stop processing canned sweet corn (raw materail from USA) because food safty in Japan still facing crisis from electric power plant, moreover the supply from EU and Canada have some shortage, then demand move back to Asia especially from THAILAND, If any news update will keep sending update. By early of April will stating to harvest for main crop and now price for paddy (white rice) price about THB8,400/MT, seem price not improved at all because of very low demand, on another hands the cost of production not cheap as customer thinking, and price per MT from real production about THB10,000 something, and the market price guarantee by government about THB11,000/MT, then this is a big issue for the government will come to involve otherwise the farmer protest will keep continue if no any solution, anyway any news update will keep you post. This topic also one of main factor have a big effect for costing of production, 95% of tin plate in Thailand, we do import from Japan, after Earthquake in Japan the factory have to re-construction about 3-6 months, and annouce to delay supply, mean the stock in Thailand have enough until June 2011 only, And have some news that THAI TIN PLATE company will announce to increasing price about 8-12% (but when finalize will send news update again) mean will effective with finished product for sure. If any news update will keep sending update. Climate changing, this issue is never less of effective with agriculture industry, as above mention during March the world cliate keep changing a lot, such Earthquake in New Sealand, Japan, Burmar, cold weather during summer time in Vietnam, Thailand, La Nina effect from Indian Oceam (Now haveing a lot of big rain in different part of Asia and finaly flooding again, or even some part of Thailand have no water at all, WHAT's HAPPEN ? everyone knew that then no need to explain more. The fuel cost, due to now have a busy political mosty in whole Gulf region, mean the reserve oil in world market keep increasing, beanch market in Singapore, Dubai, Texas, New York and London keep swing up from February 2011 until now and seem no chance to get improvment. Come to see in Thailand we don't produce crude oil ourself, we do import 100% now benzin 91 price about USD1.15/liter and diesel price about USD1.00/liter (government subsidy), and by end of April 2011, Thailand goverment announcement already will let all type of oil follow the world market, that mean cost of every production cost, transportation cost and other costs will increasing the same for sure, anyway any news update will keep you post. Coconut production in 2010 marks the lowest in 15 years Sri Lanka�s coconut production during the year 2010 has fallen down by 536 million nuts year on year to stand at 2317 million nuts, marking the lowest annual production recorded in nearly 15 years. This is a shortfall of 18.8% when compared with the 2009 production of 2853 million nuts. Dr. Jayantha Gunathilaka, the Chief Agronomics of the Coconut Research Institution attributes multiple of reasons for the drop in the production.He says among them ranks �changing climatic conditions�, �lack of adequate fertilizer�, �using of coconut lands for other activities� etc.According to him, on average the sector should produce 2700 million nuts per year. Owing to the production shortfall in 2010, the coconut prices even reached to Rs. 60 a nut in the local market. In Sri Lanka 3 sectors are competing to buy coconuts. Among them are nuts purchased for culinary work, desiccated coconut production and also for producing cooking oil. Sri Lanka�s highest nut production has been recorded in the year 2004, which saw the production of 3000 million nuts. Published: February 7, 2011 3:00 a.m.
U.S. farmers are planting the fewest acres with rice since 1989 just as global demand surpasses production for the first time in four years, driving prices as much as 12 percent higher this year. Plantings in the United States, the third-biggest shipper, may drop 25 percent this year because growers can earn more from corn and soybeans, The Thailand export price, Asia�s benchmark, may climb to $600 a metric ton by December from $534 on Jan. 26, a gain of 12 percent, according to a survey of traders, exporters and analysts. Thailand is set to lose its ranking as the world's second largest coconut exporter and become a net importer as drought has damaged growing areas. For more than four years, Prachuap Khiri Khan, the country's most important area for coconut cultivation, has been hit by drought. The province now has only about 400,000 rai (64,000 hectares) of productive plantation area out of a potential 2.5 million rai. In addition to the land, drought has directly affected the trees and fruits themselves, making them vulnerable to insects that damage the quality of the product. In the worst case, coconut palms in Thap Sakae district have died, their green fronds turning brown. Production dropped drastically to about 10 per cent of normal. from 1,000 to 100 fruits for 10 rais plantation. The farmers said coconuts could grow anywhere in the country with normal rainfall. However, the province has faced such severe drought that even irrigation systems have had insufficient water for the past four years. The result is a shortage of coconuts, prompting prices to skyrocket to Bt20-30 per fruit. This also directly affects coconut milk, whose price has also jumped in line with the raw material. Ampol Food Processing said the supply of coconuts for its plant producing coconut milk had dropped sharply from 150 tonnes to 60-70 tonnes per day. "Our production cannot serve market demand right now." Forecast for world rice trade in calendar 2011 by nearly 900 000 tonnes to 31.4 million tonnes, only slightly below the estimate for 2010. Compared to 2010, improved supplies are anticipated to help countries in Asia and in Latin America and the Caribbean to cut purchases, while, in Europe and Africa, they may buy more. As for exports, Thailand is foreseen to step up deliveries substantially next year, compensating, together with Cambodia, China (Mainland) and Myanmar, for an expected sharp reduction in shipments from Pakistan and Viet Nam. Improved production prospects for 2010 are behind a higher forecast for global rice consumption in 2011, now assessed in the order of 461 million tonnes, or 3 percent above 2010. Much of the increase is likely to be in rice destined to food, with per caput consumption averaging close to 57 kilos in 2011, half a kilo more than in 2010. This increase largely reflects rising demand in the fast growing economies, which has also contributed to fuelling domestic price rises. KOTA BARU - Malysia :January 3, 2011 : The Federal Agriculture and Marketing Authority (Fama) is importing coconuts from Indonesia to offset the acute shortage of the produce since last month, state Domestic Trade, Cooperative and Consumer Affairs chief enforcement officer Rosli Ahmad said. He said Fama�s move was to alleviate the crisis that resulted in the shortage in Kelantan. �I was informed by Fama that they would be importing the coconuts from Indonesia to ensure adequate supply and stop profiteering by traders,� he told reporters after launching a state level campaign to reduce the usage of plastic bags at a hypermarket here on Saturday. Coconut milk was sold at RM2.50 per kilo before the shortage but now retails at RM7 per kilo. Rosli assured the public that essential items like cooking oil, sugar and flour was sufficient during the current monsoon season and for Chinese New Year. He said recently several outlets reported a cooking oil shortage but that had been settled. 23 Dec 2010 COLOMBO (Commodity Online): In the backdrop of spiraling coconut prices in SriLanka, government has been forced to take hard measures to control the price rise as it considered a dietary staple on the island. The government has now decided to import coconuts from India and Malaysia to end the shortages and bring down prices. Agencies reported that in an effort to curb a coconut black market, the Sri Lankan government last week set a ceiling retail price of 30 rupees (27 US cents) per coconut in state-owned stores. But stocks quickly sold out and then reappeared at more than double the price on the black market. The prices of coconuts were Rs 55-60 two weeks ago and now it has come down to between Rs 30 and 32. With Christmas later in the week, the festive spirit of citizens has taken a hit because of the shortage. Earlier this week, the Government banned the felling of coconut trees without permission from the Coconut Cultivation board with immediate effect. Stores facilities which have been setup at Vauxhall Street, Colombo can store one million coconuts which are collected from around the country. These stocks are collected by Government lorries, Army and private vehicles and distributed through the cooperative network, the Minister said. The Government has implemented a program to control soaring coconut prices during last few weeks, he said. The Government has launched several programs to increase coconut production. The Government has banned the felling of coconut trees under the provision of the Coconut Development Act. Accordingly, prior permission from the Regional Manager of the Coconut Cultivation Board of the relevant area should be obtained to cut down a coconut tree. Coconut Development and Janatha Estate Development Minister Jagath Pushpakumara said the decision was taken to protect coconut cultivation and thereby keep a check on the price. Sri Lankas annual coconut production is 2.7 billion nuts, and the ministry expects to increase this to 3.5 billion, Pushpakumara said. Coconuts have traditionally been a key Sri Lankan export, after tea and rubber. But many say that the main reason for the coconut shortage is that large chunks of coconut plantations have been sold to build housing projects. The fruit is widely used to make curries and the island specialty of `sambol�, a type of dry chutney. Sri Lanka's Central Bank said coconut production fell 4.4 percent in the third quarter of this year after falling 19.3 percent in the corresponding period last year. Not only coconut, the Lankan government has also decided to import chicken and eggs to meet the demands of the festive season. Reports also said that Sri Lanka soon plans to start importing camels and ostrich to meet the demand for rising milk and egg consumption. Falling coconut output in pest-ravaged provinces has adversely affected Thailand's coconut milk and food industry. Local food processors are sourcing more coconuts from abroad, mainly Indonesia and Vietnam, but the solution is only short-term and shortages will continue unless more effective ways are found to deal with pests. Ampol Food Processing Co, Thailand's leading producer of coconut-based food and milk under the Chaokoh brand, is now forced to import 200,000 coconuts a day from Indonesia, but that volume still falls short of demand, said Kriengsak Theppadungporn, the managing director. The company and its parent firm the Theppadungporn Group are local market leaders in coconut milk and coconut-based foods. Together they use more than 500,000 coconuts a day to produce Chaokoh coconut milk and Roi Thai brand curry. Drought and destructive pests, notably beetle infestations, have damaged coconuts fields for many years, especially in Prachuap Khiri Khan's Thap Sakae district, a major production area. "Unfortunately, the area has suffered a dry spell for five or six months now despite most of the southern provinces being inundated in recent months," said Mr Kriengsak. "We've had to bring in large volumes of coconuts from Indonesia recently, but even then it is unlikely to meet market demand." The Agriculture Ministry reported that pest outbreaks, especially hispine beetles, which feed on the developing leaves of the coconut palm, are to blame for the steady decline in local coconut production in recent years. It estimates drought and destructive pests have devastated more than 400,000 rai of coconut sites nationwide, shrinking plantation areas by 3.36% to 1.44 million rai this year for output of 1.3 million tonnes, down by 6% year-on-year. Falling production has tripled the price of coconuts to 20 baht a piece, up from 6-7 baht last year. The prices of shredded coconut, which is crushed to make coconut milk, has climbed to 58-68 baht a kilogramme this week, from 30 baht a year ago. Although shredded coconut is expensive, demand remains strong as it is a key ingredient in several Thai desserts and dishes, especially curries. "It's also becoming difficult to find fresh coconut milk, so customers have turned to instant instead, and that has even driven sales of Chaokoh," said Mr Kriengsak. "Despite the import volume being so large, we can supply only 100 tonnes of coconut milk per day to the market, far less than normal demand of 150 tonnes." Ampol Food believes the reduced supply will cause it to miss this year's sales target of 1.9 billion baht. It now expects sales of only 1.6 billion baht but hopes that will rise to 2.2 billion baht once the supply eventually returns to normal. Mr Kriengsak said the company is working with the ministry and Kasetsart University to use parasitic wasps to attack hispine beetles. The method is recommended by the UN Food and Agriculture Organisation as an effective biological way to eliminate pest outbreaks and help save the coconut industry in many countries. As well, there is also campaign to encourage growers to replace old coconut trees, mostly older than 30 years, with new varieties of drought- and pest-resistant seedlings. The rise in the price of coconuts is due to the lean season and the drought last year, said Chairman, Coconut Cultivation Board (CCB), Sarath Keerthiratne. He said there is a drastic reduction in the harvest this time unlike in other years due to adverse weather conditions. The price of coconuts has risen, making most consumers unable to afford it. The price of a coconut hovers around Rs. 45 while many retailers do not have sufficient stocks. Tea, rubber and coconut are Sri Lanka's main export crops. "The prices will be high during the next two months and will gradually decline by the end of February. We expect a harvest of around 2,600 million nuts this year", Keerthiratne said. Sri Lanka's annual coconut production is around 2,800 million nuts while the country requires around 3,700 million nuts. "The CCB will provide coconuts to Sathosa and Cooperative Societies at Rs.26 a nut", Keerthiratne said. Coconut production drops by around 50 percent during the lean period from September to March and increases during the rest of the year. Chairman, Coconut Development Authority, Sugath Hadunge said changes in consumer patterns and the rise in demand for coconut oil have resulted in the increase in coconut prices. Coconut oil is a substitute for the costly palm oil. "The coconut palm disease in the South has no major impact on the price escalation", Handunge said. Nov 30, 2010 HCMCITY - Vietnam � Coconut processing firms in BenTreProvince, a major coconut producer in Viet Nam, are facing a severe shortage of raw materials for production as more fruit has been sold to China. Tu Nhung, a coconut trader in BenTreProvince's Mo Cay District, says in the early morning she drives a cargo boat to the fields and by noon, with her boat laden with fruit, she heads to HamLuongRiver. There, many boats from China are waiting to buy coconuts. "Local firms only buy coconuts that weigh a minimum of 900 grammes each while Chinese traders buy all of them, from small to large ones, and offer the same price as local companies," she explains. Many other local traders do the same. To cope with the situation, local processors must raise their offers to compete with Chinese traders, who have driven up coconut prices in the province, says Nguyen Minh Tam of Thanh Long Coconut Candy Company. The price currently stands at VND100,000 for 12 coconuts compared to VND40,000-VND50,000 a month ago, he says. Despite offering higher prices, local coconut processing companies have not collected enough coconuts needed for production. In addition, the coconut output this season has been low, equal to 30-40 per cent of the previous crop, which makes the coconut shortage in the province more serious, says La Van Be, deputy director of BenTreProvince's Department of Industry and Trade. To cope with the material shortage in the province, coconut processors have rushed to other neighbouring provinces as Tien Giang, Vinh Long and Tra Vinh to collect coconuts, pushing up prices in these localities as well. Many coconut processing companies have complained that they could not run at full capacity, and some have stopped operations because they were unable to collect enough materials for processing. To rescue coconut processors in Ben Tre, Be says the province should conduct a survey on the consumption capacity of local processors in order to ensure supply for the sector. Ben Tre is home to about 50,000ha of coconut, accounting for more than 30 per cent of the province's total agricultural land, yielding about 360 million coconuts a year. More than 1,000 establishments that produce and trade coconut-based products are operating in the province, according to the provincial Department of Industry and Trade. Finally the season of supply almost finished for year 2010, and next harvest will starting again in end of January 2011, the expectation of supply in year 2011 same or less than year 2010 therefore few factors such global warming (climate changing), the currency exchange and so on. It's hard to predict anything more than 3 months from now on and for next year offer price will come out by mid of December 2010. Plantation Reservoir - Only have 5% water left and we only just came out from the rainy season. Foreign Exchange- Thai bath will be strengthen through out the 8months campaign of FED's injection of $600,000m. We are expecting 27-28b/USD in 2011. Bank of Thailand is expecting 25b/USD by 2012. Our stocks market already rose more than 15% and still keep going strong, this is meaning that we will even see a stronger baht for sure. Last offer price for skipjack stay at USD1,050/MT for almost 2 months with limited supply, at this moment make some trouble with packers in Thailand for their production from December 2010 shipment onwards, therefore right now most of them have not enough stock of raw material to run the production and some packers have to reduce capacity in each day to maintain labour jobs. Until now the fish supplier still not release new offer and they give the reasons about catching very poor and fresh consumption still very high. Seem like a game between fish supplier and canned producer who's can patience longer. For your information, right now some company purchase small quantity from small supplier with offer price at USD1300.00/MT. After storm season gone 2 weeks in Thailand, we found number metric ton of rice reduce from big flooding about 800,000 - 1,000,000 MT for crop 2010/2011, nowadays raw material of Thai white rice touch THB10,000.00 / MT and Jasmine Rice reached about THB15,500.00-THB16,000.00/MT, as well as Glutinous rice hit FOB price until USD1,050.00-USD1,100.00/MT due to big demand from CHINA market during LUNAR festival. For the time being until price for year 2011 keep increasing because our neighbourhood like Vietnam and Pakistan face the same problem about natural disaster. � Reduction in production due to pest attack in South of Sri Lanka , Thailand & other producing countries . � Big brands such as Coca Cola & Pepsi getting into the coconut water drink business and creating awareness for health attributes of coconut . Just as global rice experts have expressed concerns over a possible rice shortage in the next decade without new measures to increase production, rice supplies especially in Asia are facing the heat as flooding hurt harvests in Thailand and Philippines. Thailand, the world�s biggest rice exporter, said that output will drop because of flooding, while the Philippines, the largest buyer, said its harvest may miss a target, potentially raising import demand. Rough rice for January delivery meanwhile gained for a sixth day today, advancing as much as 2 percent to $15.55 per 100 pounds on the Chicago Board of Trade. That�s the highest price since last December. Bloomberg has quoted Samarendu Mohanty, a senior economist at the International Rice Research Institute as saying that global milled output may be 450 million MT in the 2010- 2011 season, 10 million MT less than previously forecast. Thailand and Vietnam, the world's two largest rice exporters, are also losing paddy area to urbanization and increased salinity in delta regions linked to rising sea levels. This year's rice production is expected to drop by about 20 per cent due to the massive flooding in the country, Thai Farmers Association president Prasit Boonchoey said on Thursday. Mr Prasit said the country usually produces about 10 million tonnes of rice paddy per year. The extensive flood damage to rice fields is likely to cut the crop by about 20 per cent. The flood that hit 42 out of 77 provinces in this country has badly affected paddy fields nationwide, some 28 provinces are currently still in undated. HA NOI � Insufficient rainfall is likely to affect the winter-spring rice crops across the country, the National Hydro and Meteorological Forecasting Centre said yesterday. Water levels in rivers in the north-central provinces would be less than last year's average levels by about 30 per cent. 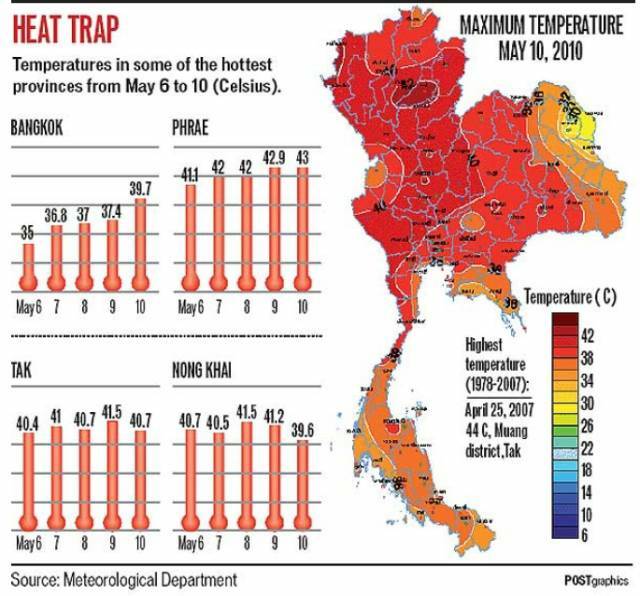 Those in the country's south-central and Central Highland provinces would be about 60 per cent less than last year's averages, said centre head Bui Minh Tang. SIRSI: Paddy crop in Andagi and Badanagod gram panchayat areas in the eastern part of Sirsi taluk have been destroyed in continuous rain in the last 10 days. Farmers told presspersons, who visited their areas on Wednesday, that there is nothing left for them this year. It was a common scene there that standing crops had fallen and 90 per cent of it was in water. Due to now crop of sweet corn in Thailand has been decreasing quite fast, because of from big flooding in whole region and the plantation damage almost 30% from annual plan, and price of raw materail hit with THB6.00/KG something and more than 70% of Thai producer already stop the production due to lack of raw materail supply, and we expect to plantation with new crop after flooding siyuation become normal in end of November 2010, then next harvest expectation to be in March 2011, therefore right now the temperature decreasing 2-4 degree and have the effect with new plantation prolong more than 100-120 days from normal rate about 75 days in summer time. If any update and news will keep you post by return. Since long raining season start from July 2010 until now, it's have a good effect with pineapple plantation in next summer harvest in year 2011 during May - July, because all of plantation area got enough water and together with cold waether longer than previous year, then we expect the next crop in summer 2011 the supply will be enough, so fruits quality and fruits size will be better than current season (Nov 2010 -January 2011) because of now all plantations are are face of nitrate problem threfore heavy rain make very fast melting of fertirizer and calcium carbide (the chemical to force the pineapple fruit bigger faster), And the supply from now on will have about 3-4 weeks during mid of November until mid of December 2010, And the current price of raw materail still maintain about THB6.40-THB6.60/KG and expect to get lower by a little bit during peak harvest in mid Nov-mid Dec about THB6.00-THB620/KG therefore still have high demand in November 2010 - February 2011 together with natural disaster in producer contries such as Philippines and Indonesia, After that crop will start decreasing and raw materail price will rebound up again and finished in end of January 2011. If any update and news will keep you post by return. The catching season become more stable than last 3-4 months, And now is the lowest price of raw materail from import reccord such SKIPJACK price about USD1020-1050/MT and YELLOW FIN price about USD1250-1270/MT, seem this price will maintain and stable until early of December 2010 only and then fish price will rebound up again once again therefore limitation of supply and coming low season, now the production capacity for whole industry in Thailand was over booked by customer until December 2010, from reasons of during last 6 months all fish supplier face a big problem for catching and all canned fish producer in Thailand lack of raw materail to fullfill pending order. If any update and news will keep you post by return. This is more big issue for main player in South East Asia like Thai and Vietnam, the uncommon raining season with huge water make many platation of rice now under the water almost 3 weeks, and already destroy the plantation area in Thailand about 4 million rai (1 rai = 1600 sqm) or 1 million tons of raw materail (from current situation) if the critical still not come back to be normal within 2 weeks, we expect the of decreasing supply become 1.5 millions tons of raw materail. And this crisis effect with raw materail price especially Jasmine Rice and Glutinious Rice. If any update and news will keep you post by return. The Thai Tapioca Trade Association estimate the total production will reduce till 21 millions tons from 27 millions tons from mealybug, and many plantations right now have a flooding problem, then farmer try to harvest with young tapioca with low quality, so total production in year 2011 will lower than expectation from 21 millions tons, then in year 2011 Thailand will continue shortage of supply again, especially tatioca starch factory that they need 13-15 millions tons for their production in 2011, Tapioca chips about 5.2 millions tons, feed mill about 1.8 millions tons and ethanol production about 1.0 millions tons. If any update and news will keep you post by return. - Thai government reported the damaged rice plant from floods around 1.5million acre already, equal rice paddy 1million tons. - Flood damagaed 38 provinces in Thailand, now remain 22 provinces still long dip in water especially the area of North East of Thailand where land of Jasmine Rice and Glutinous Rice growth. - worry about Glutinous Rice will be shortaged for 1-2 weeks, expect the Glutinous rice new crop 2011 will be raise up to 17,000-18,000Baht from last year 8,000-9,000Baht/ton, however the Thai Rice Mill Association has annual conference on 6-Nov-10, the association member have start fine survey rice plant and paddy for further discuss in annual conference. - Rice stockpiles held by the world�s five biggest exporters will likely decline next year, tightening global supply and supporting prices, the United Nations said. - Shipments from Thailand, Vietnam, Pakistan, the U.S and India, which account for about 80% of global trade will gain 8.4% from a year. - The main harvest in Thailand may drop as much as 20% after the worst floods in four years hit the nation�s growing regions, Thai crop typically harvested from October to April, account for 75% of the nation�s annual output. - Flood water is now pouring from the higher grounds in the north and northeast of Thailand into the lower plains in central areas, which are also key rice-growing region, with more paddy filed feared to be damaged. - In Vietnam, the second-largest shipper rice crops were flooded after rains earlier this month. Vietnam Losses �There has been no official statistics about the loss to agriculture, the loss has reportedly reached hundred of thousands hectares of paddy� Nguyen Hieu Tam, head of rice research at Hanoi-based Vietnam Market Analysis and Forecast Joint Stock Company said. - The rice harvest in the U.S., the world�s fourth-largest exporter last year, may be at least 10% smaller than the latest USDA estimate, missing a forecast for record output and pushing price higher. - The lower output forecast for Thailand and U.S came after harvests in Pakistan were devastated by flooding. This week, Typhoon Megi lashed the Philippines, widening the Southeast Asian nation�s production deficit. - Indonesia's state procurement body, Bulog, said on Wednesday it was still in talks to buy 200,000 tonnes of rice from Thailand, but traders and Thai governmentofficials said it may not buy because of high prices. "It hasn't been concluded. We're still in the process," Sutarto Alimoeso, Bulog's president director, told Reuters. - High demand on the world market pushed the export price of Vietnamese rice. So far, the programme for purchasing rice for temporary stock in order to stabilise prices is over and the stock has reached 1 million tonnes. Therefore, at this moment, exporters could increase rice exports because the domestic rice volume was enough for export and for national food security, the ministry said. - MANILA, Philippines � Thousands of farmers, retailers, and consumers want none of the Aquino government�s plan to cut the P8-billion rice subsidy for the National Food Authority (NFA). Source: Reuters Bangkok, Oct 8 - Thailand, the world's biggest rice exporter, is expected to produce 22.9 million tonnes of paddy in its main 2010/11 crop as drought and then floods had caused only minor damage, an Agriculture Ministry official said on Friday. "It's around 1.3 percent down from the previous forecast of 23.2 million tonnes of paddy. That will not cause any supply problem for rice trade next year," said Apichart Jongsakul, secretary-general of the Office of Agriculture Economy. He told Reuters that recent flooding had damaged rice fields in alluvial plains in central Thailand, but the rain had also helped boost water supply and should help produce good yields in fields in the northeast. Thailand's main rice crop produces around 23 million tonnes of paddy each year and is harvested from November. After heavy rainfall in the rainy season this year, water in major reservoirs had risen significantly. "This means we will have ample water supply to produce another bumper second crop," Apichart said. Thailand's second, smaller rice crop, grown mostly in well-irrigated areas in the centre of the country, is due to be sown in the early part of next year and harvesting could start in late June. Thailand produces between 5 million and 7 million tonnes of paddy in its smaller crop. However, production surged to 8 million tonnes in 2008, when fears of food security pushed prices to a record high and encouraged farmers to grow more rice. Apichart said Thailand was likely to produce around 7 million tonnes of paddy in the 2010/11 second rice crop, pushing overall production in this coming season to around 30 million tonnes. That would equate to around 18 million tonnes of milled rice, of which around 8-10 million tonnes would be for domestic consumption and the rest for export. Thailand exported 8.6 million tonnes of rice in 2009 and aims to export 8.5-9.5 million tonnes a year. Shipments hit a record high of 10 million tonnes in 2004 and then again in 2008, according to data from the Thai Rice Exporters Association. The winter crop production has started in September with quantity less than expected. The average tonnage available for production was about 3,800 � 4,000 tons per day. All factories that have started production were running at low production utilization rate. For October � December 2010, it is expected that the volume would be approximately 450,000 tons available for processing and fresh consumption. Despite the good rainy season, the supply is expected only to increase from the 2nd half of November. The supply in October will still be tight and not sufficient for all factories, at the estimate volume of approximately 3,500 tons/day. The estimate volume for the year 2010 will expected to be about 1.7 million tons. However, this will be subject to the available of rain in the Southwest region of Petchburi and Prachuab Kirikhan. While there has been rainfalls in the North and Central plain of Thailand that has caused flooding in some areas, the rainfalls in the main growing area in Southwest is not widespread. The water level in the reservoir is lower than normal. Should the amount of rainfall in October be less than normal, this could affect the winter harvest. Another major factor affecting the production cost other than the fruit and tinplate is the strong exchange rate of THB/USD. While the fruit price and tinplate price may remain stable or even decreasing, the THB has gained approximately 10% since the beginning of 2010 at the time of this report. Because of the strong appreciation in the recent weeks, the tendency of THB is strengthening toward 29 THB/USD. Effectively, this increases cost of these 2 major components in the same proportion. About 2 months during July - August 2010 that no any production in Thailand, Finally new winter crop just start up last week with small quantity of supply about 3000-4000 MT a day and these suutation will continue until October 2010, and price of raw materail still maintain at THB6.20-6.50/KG from now until October 2010 because of all 30 producers in Thailand try to buy for their capacity, and we expect price of raw materail will going down in November onward when we have more supply and the lowest price expect to get during peak harvest (12,000 MT/day) in January 2011 about THB5.50/KG. So the offer price also still not going down during this 2 months (September - October 2010). Due to heavy raining in northern of Thailand and make abit trouble with harvest in September reducing 20-30%, and lucky that raw materail price not increase that much from contract farming at THB3.80/KG to THB4.80/KG, and supply will reducing from October 2010 onward till off season in end of November till january 2011 because we expect this year will have cold season longer then previous year, therefore from ELNINO effect. And the new crop harvest will start again in February 2011 onward. After incredible price of raw materail of skipjack increasing till USD1700 during June 2010, so now raw materail price keep softer as per below catching report. Excellent for Japanese boats, the averaged catch is 62 mt/day/boat. Good for US, Taiwanese and Korean fleets, averaged catch 30 mt/day/boat. Good for French and Spanish, averaged catch is 30 mt/day/boat. Poor with the averaged catch at 10 mt per day. Skipjack-yellowfin ratios, 70:30 in Western Pacific; 85:15 in Indian Ocean. Reported skipjack prices in Ecuador at $1450, Philippines at $1300, Korea at $1350. Reported yellowfin prices in Bangkok (no transaction), Seychelles at $2160, Spain at $2450. This is the main factor for all offer price, and statistic for exchange rate information from Bank of Thailand per below link for your information. Exchange rate now in September 2010 differentiate lower than August 2010 about 3.25% and expect to continue lower till 6.60% by end of the year 2010. Due to now 100% shutdown with all pineapple canneries in Thailand, and some of them will open for operation in September 2010 even the raw materail still hit THB7.00/KG, because from the labor problem, If the canerry still hold the operation until October most of the labours will move to work with another industry, then when the season coming in October 2010 the packer may hard to call them back because of the minimum for new company will held 3 months. In this case, some of the cannery that they produce only pineapple item have no choice to starting the production in September 2010. After survey the plantation, and we found the production output will be very less in September, and will be good supply from Mid of October onward, and the peak of supply will start delay about 45 days from normal of winter season during December 2010 until January 2011, therefore from the rain fall come late. For above reason, some canneries are already launch the new offer to market and seem the offer price not lower than the current market price, But some of the producer also sell forward the quantities until end of this year 2010. So for our information the raw materail price will going down until THB5.00/KG during December 2010-January 2011 (This is forcast information). The Pineapple Processor Group of Thai Food Processors� Association declares impact of the El Nino on the summer crop 2010 (May � July) is greater than previously estimated, resulting in the crop failure with the lowest harvest in the last 5 years. . This will impact the delivery of contracts on time. The El Nino is the warming of at least 0.5 c averaged over the east-central tropical Pacific Ocean. When this phenomenon occurs it raises the land temperature as well as reduce the amount of rainfall. The Thai Government has been issuing the warning of the El Nino since the end of last year. The Ministry of Agriculture and Cooperatives has recently advised through the media that the rainy season will delay by 1 � 2 months. It has also discouraged, particularly, rice farmers to deter the planting as irrigation water will be insufficient to supply for agricultural purpose. The average rainfall in January � April 2010 compared to the same period of the year 2009 has reduced in all regions across the country by as much as 57%. Furthermore, the temperature has risen on average 1 � 2 c with the recorded temperature of 43 degrees in May of 2010. As a result of higher temperature and lower amount of rainfall, the pineapple crop supply for the summer crop, May - June 2010 was reduced by more than 50%. According to the survey by the Raw Material Committee of Pineapple Processor Group, the average supply of around 10,000 tons/day was reduced to less than 4,000 tons/day by end May. There was no summer peak as the industry would normally expect. The supply in the month of June is would be even lower than 3,000 tons/day. As a result, many factories have planned for early shutdown. Because of high temperature, pineapple plants do not bear natural flowering that should mature for the summer harvest. Due to lack of rain, many new young plants have withered that farmers were not able to apply forcing agent to assist flowering. With the forecast of late rainy season, the winter crop is expected to delay with the supply of fruits may not come until November/December 2010 and the volume would be smaller than the same period of last year. On the production cost, TFPA is still under negotiation with the supplier of tinplate and empty can. The indication for an increase for the 3rd quarter is approximately 10 � 12% for empty can. As the price of iron ore would be agreed on quarter basis, the supplier would discuss the price of tinplate on quarterly basis as well. The productioncost for Thai producer will further increase in term of USD as THB remains strong.